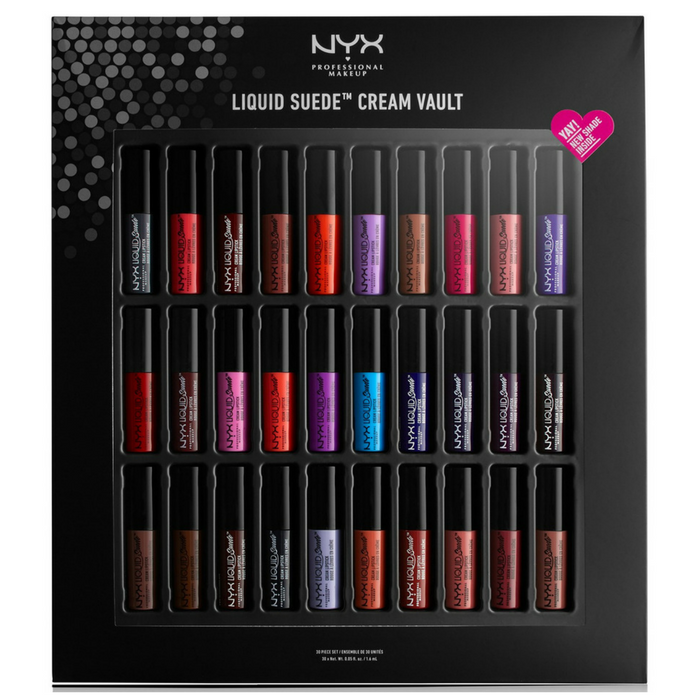 NYX 30-Piece Creme Lipstick Set Just $32.50! Down From $65! PLUS FREE Shipping! You are here: Home / Instagram / NYX 30-Piece Creme Lipstick Set Just $32.50! Down From $65! PLUS FREE Shipping! At Macy’s, you can score this beautiful NYX 30-Piece Creme Lipstick Set for just $32.50 down from $65 PLUS FREE shipping! Swatch every single shade of this fan fave with the NYX Professional Makeup Liquid Suede Cream Lipstick Set. These little babies glide on and deliver highly pigmented color that dries to a matte finish. Loaded with our plush lippie’s 24 waterproof hues, this vibrant set also includes 6 all-new tones!